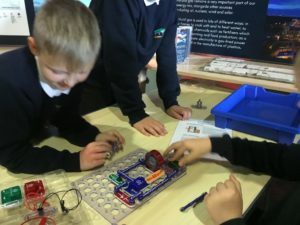 P5/6 went to the Science Centre to learn about electrical circuits. 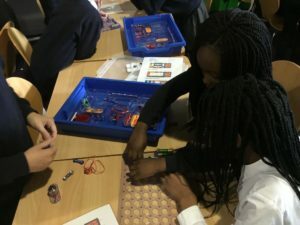 They sorted cards to match the name, picture and symbol used for different components of electrical circuits, including battery, resistor and wires. 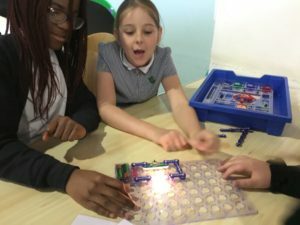 In small groups, the pupils worked together to create different circuits that did a variety of things. They made lights turn on, music play and lights flash. It was a fantastic problem solving opportunity for them. The resource they used is called Snap Circuits (it’s a great Christmas gift idea for your kids! ).